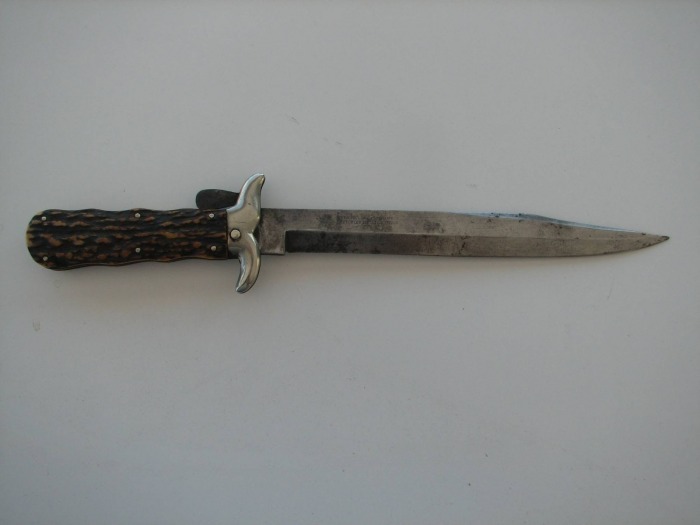 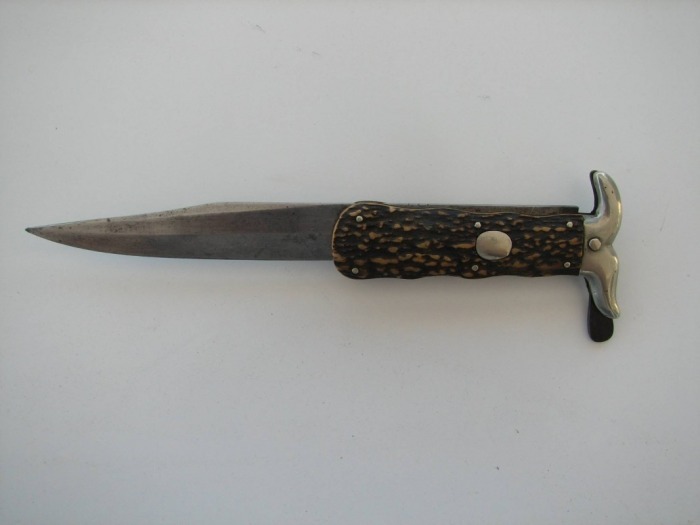 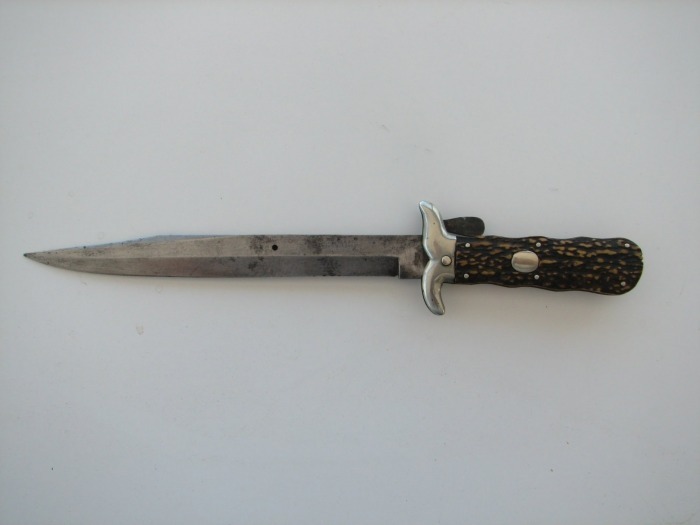 This folding bowie is in very good condition and has a beautiful stag handle with an attractive cross guard. There is a push button that releases the blade and then locks into place. 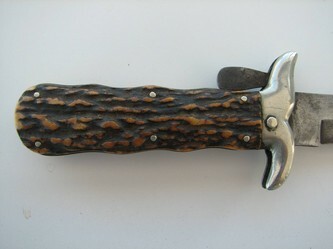 The blade is then unlocked by a thumb lever and reclosed. There is nice filing on the liner under the handle material. This bowie was made before the turn of the century, approx. 1870-80. 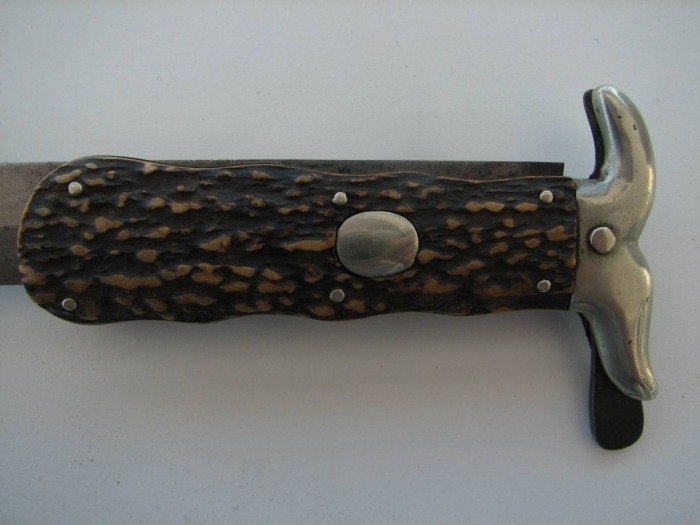 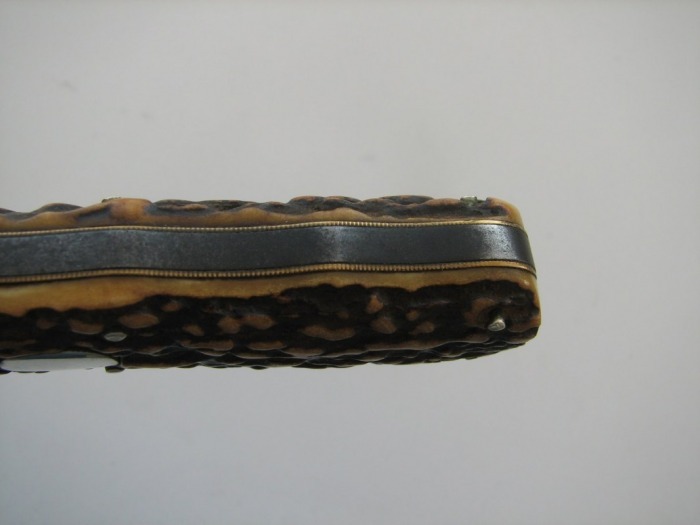 No sheath. Blade 8 5/8" Total Length 13"